*Compare these prices per nappy to the mainstream supermarket bought nappies and you will see there isn't that much difference in price! 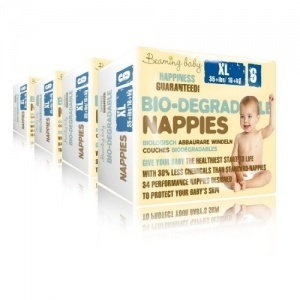 These nappies are soft, and comfortable on baby's skin. They do their job perfectly and my conscience is a little clearer, given that they decompose in 4 years as opposed to 400 years with regular nappies. Great absorbancy, no funny chemical smells, good fit, no complaints.